Two Russian bombers were intercepted off the coast of Alaska recently -- the first flight by the country's bombers off the coast of Alaska since mid-May, according to North American Aerospace Defense Command (NORAD). 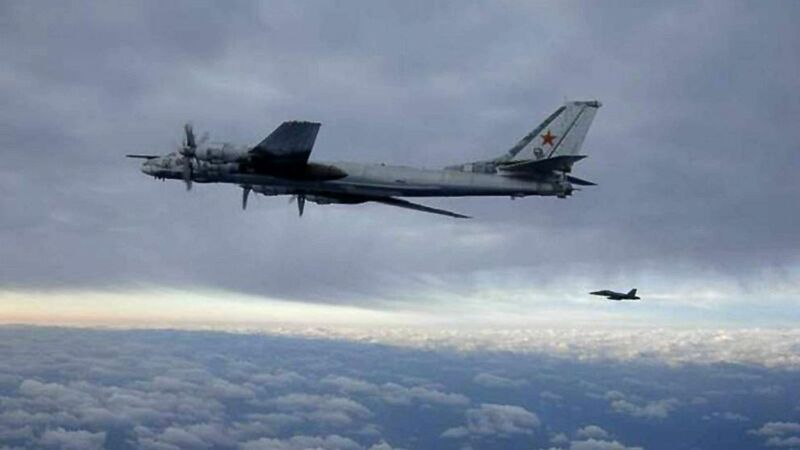 The Russian planes, two TU-95 "Bear" long-range bombers, were flying in the Alaskan Air Defense Identification Zone (ADIZ), south of the Aleutian Islands, around noon Saturday when they were intercepted by two F-22 fighters. "The two Russian TU-95 bomber aircraft were intercepted and monitored by the F-22s until the bombers left the ADIZ along the Aleutian Island chain heading west," said the spokesperson. At BETA we write compact articles so that they display in full when viewing our news feeds. We don't think you should have to click into every article to get great content. If you do need to dive deeper, you can always click into the article title and explore the related links. © 2019 CUBR All rights reserved.